Both these breeds are simply called Cocker Spaniel in their countries of origin. 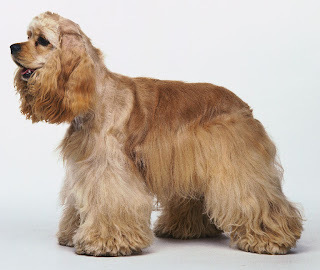 Cocker Spaniel was made in United Kingdom to hunt the Eurasian Woodcock, when the dog was brought to USA some changes were made to allow it to hunt the American Woodcock. Both the breeds share the coat colors and health issues; however they differ in sizes and physical shapes. The Cocker Spaniel is a pretty and brainy dog that makes an amazing pet. However, it is more suited to a home with older children. Socialization of this breed must be done at an early age to avoid problems.